I finally got around to doing something with those figs I picked from Pat's backyard. He was kind enough to let me and Kelly Cline pick some figs while he was out of town having fun in Vegas with Miss Universe contestants. We weren't sure what kind of figs he had but figured they were probably Croatian because the family that lived there, as is his wife, are from Croatia. Kelly's best guess is that they are Dalmatia figs and Pat thinks she is probably spot on. Before this year, my only experience with fresh figs was with these Dalmatia's that Pat would bring in every fall from his tree. It is a pretty weird looking fruit if you ask me. It reminds me of pistachios when I was a kid. I always wanted them but when I got them they were so weird looking I almost didn't want to eat them. Something just doesn't look right about them. 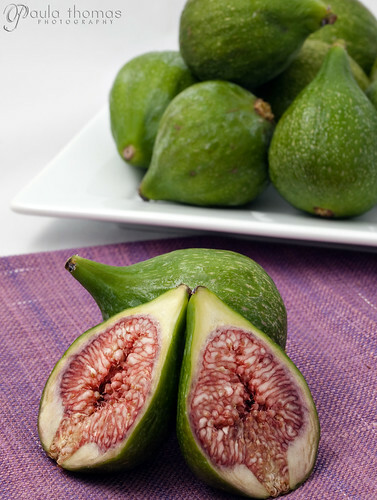 Kelly is a big fig whore so I've had some experience this year eating some other varieties of figs. There are so many varieties and they're all different in looks and taste. The Dalmatia's are bright green, big, juicy, and have lots of sweet flavor. I think it makes the perfect fig for jam. The photos below with the yellow background and the purple napkins were borrowed from Mark's mom and are from the Philippines. I love the bright yellow, it is a good contrast for the jam pics I've taken. 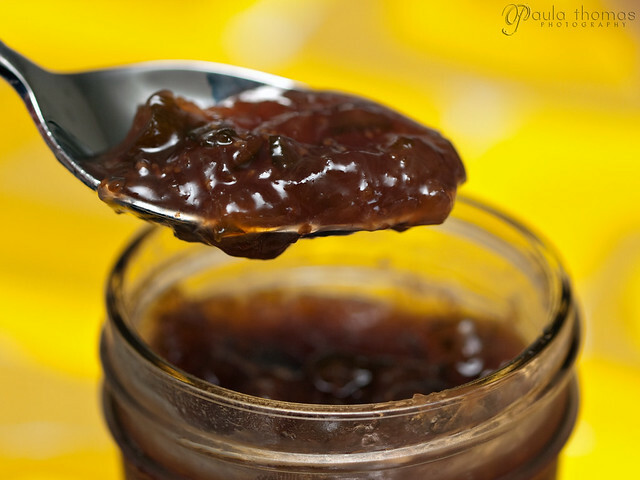 I found an interesting looking recipe on Epicurious for Drunken Fig Jam. Instead of using water as the liquid that's used in most jam recipes, this one uses brandy. It's brilliant! :) The recipe says to use black figs but of course I used these green ones and it turned out wonderful. Below is the only slightly altered recipe from Epicurious. 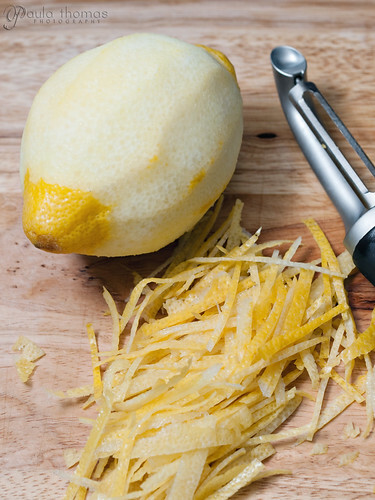 Using vegetable peeler, remove peel from lemons (yellow part only) in long strips. Cut peel into matchstick-size strips (about 3 tablespoons). 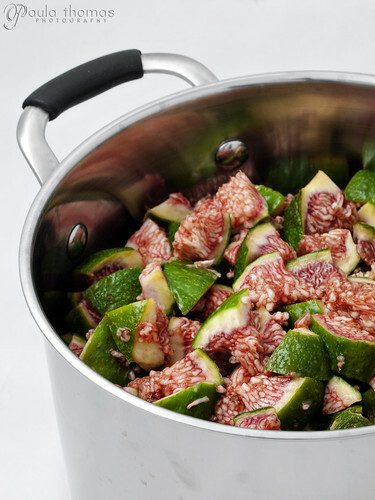 Combine lemon peel, figs, sugar, brandy, and 1/2 teaspoon coarse salt in heavy large deep saucepan; let stand at room temperature 1 hour, stirring occasionally. 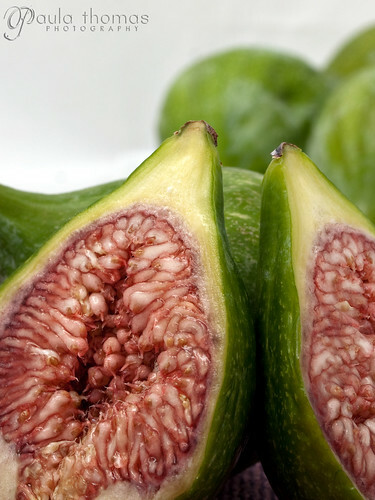 Bring fig mixture to boil over medium-high heat, stirring until sugar dissolves. Reduce heat to medium; continue to boil until jam thickens and is reduced to 6 cups, stirring frequently and occasionally mashing mixture with potato masher to crush large fig pieces, 30 to 35 minutes. Remove from heat. Ladle mixture into 6 hot clean 1/2-pint glass canning jars, leaving 1/4-inch space at top of jars. Remove any air bubbles. Wipe jar threads and rims with clean damp cloth. Cover with hot lids; apply screw bands. Process jars in pot of boiling water 10 minutes. Cool jars completely. The lids should pop which means they're sealed. If any don't seal properly they should be stored in the fridge. Otherwise, you can store in cool dark place up to 1 year.